NetherRealm Studios have taken advantage of their ESL Mortal Kombat X Pro League Season 3 Finals live stream to debut its very first Injustice 2 gameplay trailer. 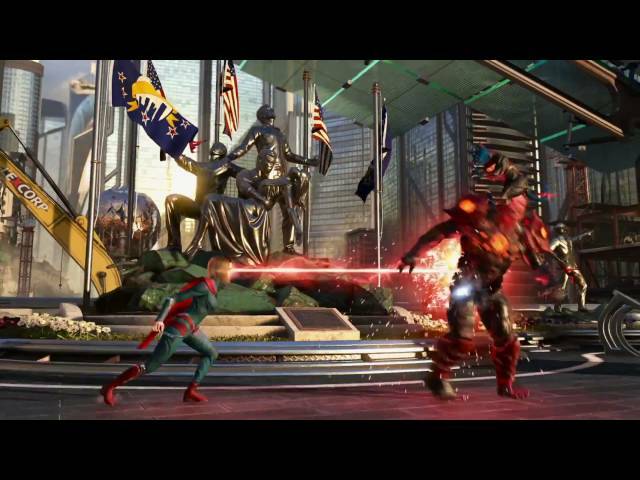 The video heavily features series newcomers Supergirl, Atrocitus and Gorilla Grodd, with Aquaman, Superman and Batman also making appearances. Aside from the title’s visual flamboyance and fighters’ over-the-top special abilities, the trailer shows off a number of different looks for each kombatant (part of the title’s mysterious “gear system”) and unique pre-fight banter similar to that of Mortal Kombat X.